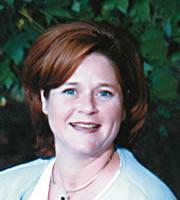 Carole H. Dibble has worked in early childhood education for more than twenty years. She is a teacher and former administrator and currently facilitates training of early childhood teachers and administrators worldwide. Carole H. Dibble lives in Manchester, Connecticut. "This little gem of a paperback will supply them with loads of exciting new ideas and reminders of a few old favorites, which will delight their charges." "I didn't actually count them, but there are LOTS of easy, fun activities for young children (or the young at heart) that should chase away any hint of boredom or answer the question, 'What can I do now?'" "Several new teachers in our school have asked to borrow this book to begin the year, and I will share it with pleasure."